Ed is an operational improvement performance expert specializing in on-site leadership of enterprise-wide programs. He has spent over ten years as Managing Director for EHS Partners focused on ensuring the success and sustainability of the program’s significant financial impact at each client. Over his nearly 30-year career he has been driving change in companies of all sizes across a wide range of industries including insurance, financial and information services, energy, retail, healthcare, aerospace and education. 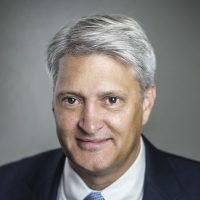 Prior to EHS, Ed worked in early-stage companies in roles as CFO and in strategy, focusing on profitable growth and successful leadership through the IPO process. Additionally, he spent six years with McKinsey & Company in Los Angeles and Scandinavia, working with clients on initiatives for operational improvement, process redesign, R&D portfolio prioritization and M&A. Ed is a PADI Divemaster, and the founder of an annual scholarship for grade school track and field students who show good character as well as talent. Ed earned his MBA at Harvard Business School and B.S. in Electrical Engineering with highest distinction from Purdue University where he was awarded Phi Beta Kappa. He also completed studies at the University of Auckland, New Zealand as a Rotary Foundation Graduate Scholar.